The behavior of children/teenager has changed dramatically in the past ten years. Behavior in children is caused by a number of factors. 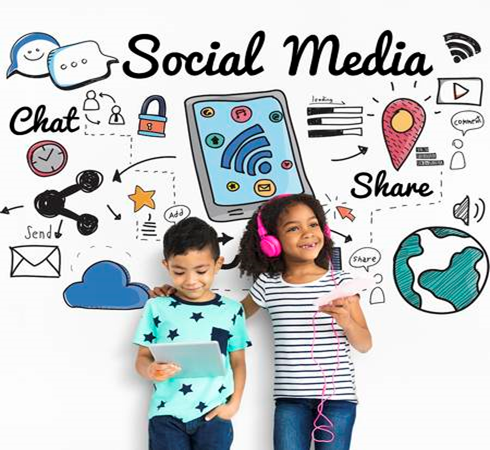 Social media is one of the factors that today affect the way children dress, talk, walk or even influence the type of music or the food they want. Social media has become a core part of young people’s lives. The two main forms that the children use to access social media are smartphones and the Internet which have brought about major changes in their lifestyle and behavior. Social networks such as Facebook, YouTube, WhatsApp, and Instagram are their primary interface with the internet. 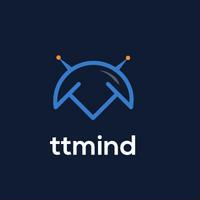 These portals are generally used social sites via smartphones and tablets, such that many children are permanently connected to their virtual social network, continually receiving and checking feed, and regularly posting their own updates. On the social media children feel free and think that no one has control over them so, they start practicing bullying behavior, they often humiliate their friends. Teenagers who post their personal information or pictures involve themselves in inappropriate behaviors. The more time children spent on social media, the less time they spent with their families. For example, they compare their lives with other and demand the same thing to their parents, if their parents are not able to fulfill their demand they show violent and aggressive behaviors. Also, social media also promotes an unrealistically thin body shape ideal that in turn is at least partially responsible for promoting eating disorders on children. Especially adolescent girls these days are unhappy with their body weight and shape, which is leading them toward unhealthy weight control behavior. Another reason for going online is to be for sharing feelings. Many parents are not aware of the negative effects of the Internet can have on their children. Even the teenagers themselves may not be aware of the risks caused by Internet utilization. Online harassment and bullying system make them sad, nervous, afraid and unable to focus at school, and that it will expose them to social difficulties. They might have been encouraged children to use drugs, alcohol, procure eating disorders, and misbehave in friends and family. Experiencing feelings of anxiety and depression can lead to more negative behavior. More important, it can also lead to internet addiction that will change the developing brain structure of teenagers, leading to poor academic achievements, involvement in dangerous activities, unhealthily nutritional habits, poor personal relationships, attention seeker and self-injurious activities. The social media has a disturbing the potential to negatively affect many aspects of children’s healthy development, including weight status, sexual initiation, aggressive feelings and beliefs, consumerism and social isolation. Social media also has potential for positive effects on child health. We cannot neglect that children are becoming so smart because of social media. Social media helps them to develop better perspectives on various issues, exchange ideas, learn new things, and provide an effective platform for enhancing children’s knowledge. We have to find ways to optimize the role of social media in our society, taking advantage of their positive attributes and minimizing their negative ones. The ultimate goal is to reach children and adolescent with positive messaging. We need to adopt social media and use as an effective tool in shaping the behavior of children rather than trying to counteract it from using.